I was browsing the internet when I found this story. WARNING- VERY SAD When I was a puppy, I entertained you with my antics and made you laugh. You called me your child, and despite a number of chewed shoes and a couple of murdered throw pillows, I became your best friend. Whenever I was "bad," you'd shake your finger at me and ask "How could you?" -- but then you'd relent and roll me over for a belly rub. My housebreaking took a little longer than expected, because you were terribly busy, but we worked on that together. I remember those nights of nuzzling you in bed and listening to your confidences and secret dreams, and I believed that life could not be any more perfect. We went for long walks and runs in the park, car rides, stops for ice cream (I only got the cone because "ice cream is bad for dogs" you said), and I took long naps in the sun waiting for you to come home at the end of the day. Gradually, you began spending more time at work and on your career, and more time searching for a human mate. I waited for you patiently, comforted you through heartbreaks and disappointments, never chided you about bad decisions, and romped with glee at your homecomings, and when you fell in love. She, now your wife, is not a "dog person" -- still I welcomed her into our home, tried to show her affection, and obeyed her. I was happy because you were happy. Then the human babies came along and I shared your excitement. I was fascinated by their pinkness, how they smelled, and I wanted to mother them, too. Only she and you worried that I might hurt them, and I spent most of my time banished to another room, or to a dog crate. Oh, how I wanted to love them, but I became a prisoner of love." As they began to grow, I became their friend. They clung to my fur and pulled themselves up on wobbly legs, poked fingers in my eyes, investigated my ears, and gave me kisses on my nose. I loved everything about them and their touch -- because your touch was now so infrequent -- and I would've defended them with my life if need be. I would sneak into their beds and listen to their worries and secret dreams, and together we waited for the sound of your car in the driveway. There had been a time, when others asked you if you had a dog, that you produced a photo of me from your wallet and told them stories about me. These past few years, you just answered "yes" and changed the subject. I had gone from being "your dog" to "just a dog," and you resented every expenditure on my behalf. Now, you have a new career opportunity in another city, and you and they will be moving to an apartment that does not allow pets. You've made the right decision for your "family," but there was a time when I was your only family. I was excited about the car ride until we arrived at the animal shelter. It smelled of dogs and cats, of fear, of hopelessness. You filled out the paperwork and said "I know you will find a good home for her." They shrugged and gave you a pained look. They understand the realities facing a middle-aged dog, even one with "papers." You had to pry your son's fingers loose from my collar as he screamed, "No, Daddy! Please don't let them take my dog!" And I worried for him, and what lessons you had just taught him about friendship and loyalty, about love and responsibility, and about respect for all life. You gave me a good-bye pat on the head, avoided my eyes, and politely refused to take my collar and leash with you. You had a deadline to meet and now I have one, too. After you left, the two nice ladies said you probably knew about your upcoming move months ago and made no attempt to find me another good home. They shook their heads and asked "How could you?" They are as attentive to us here in the shelter as their busy schedules allow. They feed us, of course, but I lost my appetite days ago. At first, whenever anyone passed my pen, I rushed to the front, hoping it was you that you had changed your mind -- that this was all a bad dream... or I hoped it would at least be someone who cared, anyone who might save me. When I realized I could not compete with the frolicking for attention of happy puppies, oblivious to their own fate, I retreated to a far corner and waited. I heard her footsteps as she came for me at the end of the day, and I padded along the aisle after her to a separate room. A blissfully quiet room. She placed me on the table and rubbed my ears, and told me not to worry. My heart pounded in anticipation of what was to come, but there was also a sense of relief. The prisoner of love had run out of days. As is my nature, I was more concerned about her. The burden which she bears weighs heavily on her, and I know that, the same way I knew your every mood. She gently placed a tourniquet around my foreleg as a tear ran down her cheek. I licked her hand in the same way I used to comfort you so many years ago. She expertly slid the hypodermic needle into my vein. As I felt the sting and the cool liquid coursing through my body, I lay down sleepily, looked into her kind eyes and murmured "How could you?" Perhaps because she understood my dogspeak, she said "I'm so sorry." She hugged me, and hurriedly explained it was her job to make sure I went to a better place, where I wouldn't be ignored or abused or abandoned, or have to fend for myself --a place of love and light so very different from this earthly place. And with my last bit of energy, I tried to convey to her with a thump of my tail that my "How could you?" was not directed at her. It was directed at you, My Beloved Master, I was thinking of you. I will think of you and wait for you forever. May everyone in your life continue to show you so much loyalty. I can not EXPES how d***ed mad I am. Why, oh WHY do people do things such as animal cruelty? What will you get out of it? Enjoyment? I just don't know. JUST. DONT. KNOW. That is so very sad but unforunatly a very horrible fact of life. Some (humans)((I put this word in brackets because that's not what they are)) think nothing of just throwing away a pets life, quite often after years of love, affection and devotion from that pet. Mom cried for ages after reading this, Thank you for posting it. The Cornish crew. Thanks for posting this. You're right it's sad. However this message needs to get out. It's NOT ok to just dump a devoted family member! Mom does foster work and she gets calls weekly from people giving up their pets ... they divorced, they married, they're moving, they're allergic. Some people just don't treat them like family. To them, it's 'just an animal.' A toy they play with for a few weeks/months, then discard. We try to take in the ones we have room for and give the others advice on how to get their pets adopted. We know a lot end up like the dog in this story. And that's just not right. Please encourage people to THINK before they adopt or buy a pet. And if you know someone wanting a pet, beg them to visit a shelter or rescue group to get an animal who has been discarded. Oh yes.. I believe it is from FunnyJunk? I have read that story many times. It's the saddest thing. I can't belive people could do this to their animal friends. me and momma are crying i loved that im sad know and wonder "is my life good?" My mum cried her eyes out when she read this because every day she has to walk by the Humane Society and read ads online for fuzzbabies that are being 'thrown out' because their 'people' think of them as disposable. My mum once dogsat for this lady. This lady had four kitties and one very scared pitbull, who had been beaten and used as a bait dog. She decided one day that this loving dog had to go, so she drove to the humane society and dropped her off. The next day while buying cat treats she saw another pitbull, a beautiful rednosed ****. She decided she wanted this dog and the owner was actually looking to get 'rid' of her. My mum shook her head at the lady because she had JUST abandoned one dog and decided the VERY next day that she NEEDED another. My mummy stopped dogsitting for the lady because she turned out to be very mean. But it makes all of us sad that she could consider a member of her family disposable. My mum has promised she will NEVER ever give us away. And my sister even pees on mum when she is sleeping ... mum still loves us. She would rather give her arm away then one of us. We are her furbabies. This is Delyte. We live in the country near a college town, and every spring and summer people abandon their animals near us. We hate to send them to the shelter, because it is not no-kill and they are overwhelmed with animals in the summer and no one around to adopt them. We have adopted a number of these animals as outside pets and actually found homes for some of them. But every year it goes on. My person could not bear to read the whole post because she knows it happens and can't fathom how anyone could do that to their pet. My family knows too well how this happens. Check out our dog Brandy and Molly's start to life, even mine. I was thrown out after I served my purpose. I think I hate those the most who just decide they may want another animal-kitty or dog-after that one grows up so they get rid of their first kitty or puppy. I almost hate reading this stuff because it is way to common in this day and age of modern technology and education that is trying to prevent this kind of abuse. Thank god there are those like all of us who realize a fur baby is as important as any other living thing. This made mommy cry very much. She can't understand people like that. She would do just about anything to NOT lose me, because I am part of her family and mean so much to her. People just don't understand that a pet has feelings and memories too. We are not dumb. We are smart because we live on love and acceptance, and honesty and loyalty. Some qualities that not all humans have. Mommy thanks God for me every night. I wish it could be that way for all. Pet dumpers\' litany of lame excuses Denise Flaim Animal House July 24, 2006 Here\'s a question as bedeviling as that zen koan about the sound of one hand clapping: What is the most pathetic excuse for giving up a companion animal? Living as we do amid an epidemic of tepid commitment and laser-sharp detachment, people routinely discard their companion animals. Some reasons - like a child\'s allergies or sudden homelessness - are understandable. But many are not - at least not to those who consider their animals family members, a status that is not usually negotiable. Rescuers - you know them by the plastic airline crates in their hatchbacks, and the Milk-Bones in their glove compartments - are in the non-profit business of cleaning up the messes people make with the sentient beings they\'ve brought into their lives. With big hearts and tiny budgets, they grit their teeth as clueless, oftentimes obnoxious owners hand over the leash - or cage, or tank. Excuses - they have heard them all before. But maybe you haven\'t. Moving is a perennial reason for dumping animals. \"It\'s everyone\'s favorite,\" says Barbara Williamson of Best Friends Society, who polled staffers. 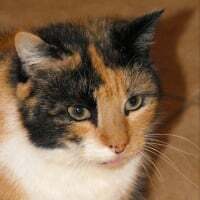 \"Nobody here can even begin to understand how you move into a place that doesn\'t accept pets when you have pets.\" (Another head-scratcher: The person who returned a cat to the Utah sanctuary because its neurological condition \"wasn\'t bad enough.\" In other words, the cat wasn\'t special-needs enough.) Another common catalyst is the arrival of a sweetheart. New lovers or spouses who hate dog hair or slobber issue ultimatums, and their not-so-better halves comply. The dissolution of a marriage is a prime reason for relinquishing animal companions, as is the arrival of diminutive two-leggers. \"When the excuse is that the owner is having a baby, I send her to the president of Alaskan Malamute Rescue of New England,\" says Malamute fancier Susan Conant, who writes dog-centric mystery novels. \"She is the mother of triplets.\" Yep, family ties can be nooses for some animals. Marjorie Lipson of Long Island-based Second Chance Labrador Rescue offered up the interesting approach of blaming the kids: \"My youngest child is now in college - it was her dog that we purchased 14 years ago,\" one owner told her as he turned over his gray-faced dog. \"We never wanted a dog - the kids did.\" For those who have written their wills to ensure that their furry and feathered family members will be cared for after their demise, think again. \"Even though I promised to care for the dog, I knew I really wouldn\'t,\" explained one relative Lipson encountered. \"I just wanted the inheritance.\" Avarice is predictable. But this excuse isn\'t: \"A woman had a 12-year-old male cat she wanted us to take because \'He won\'t play with toys anymore, so we want to replace him with a kitten,\'\" says Dottie Zammetti of A Home at Last Animal Adoption Network in Brightwaters. More than one rescuer reports cats rejected because they would not sit on laps. Or male dogs tossed because they don\'t lift their legs. \"He doesn\'t photograph well in our family portrait\" is so sad that it could be made up. But it isn\'t. Norwegian elkhound fancier Lexiann Grant of southeastern Ohio, who contributed that one, also had this doozy: \"An Akita was surrendered because the family decided to do away with their current \'Japanese landscaping\' and go with a southwestern theme.\" If you find it hard to believe that people can be that superficial, consider this chestnut from Barbara Sawyer-Brown, a Ridgeback breeder and longtime rescuer from Chicago: \"We redecorated and the dog no longer matches the decor.\" As one rescuer put it, \"It\'s the accumulated oblivious sincerity that really gets you.\" File this under \"craven compassion\": Pam Dennison, author of \"The Complete Idiot\'s Guide to Positive Dog Training,\" had a friend who took in an 18-month-old Schnauzer. \"She had a kidney problem and the owners \'loved her so much they couldn\'t bear to watch her die.\'\" (Postscript: The friend kept the dog, switched her to a raw-food diet, and five years later, the dog is still going strong.) People dump their bunny rabbits with such infuriating regularity that Mary Cotter of the House Rabbit Society keeps a list of common excuses. Some deadbeat owners have simply performed a cold-hearted calculation: \"He\'s sick - we\'re not going to pay $50 for a vet visit for a pet that cost $15.\" Debra J. White of Tempe, Ariz., started volunteering at animal shelters in 1989. \"I have seen and heard the most dumb, pathetic and lame excuses,\" she says. \"The cat meows. The dog barks.\" But nothing prepared her for this beaut, delivered by a pregnant woman who was jettisoning her child substitute to make room for the real thing. \"My fetus,\" the mother-to-be proclaimed, \"is allergic to the dog.\"
I was discarded as well as my sisters Oda and Mitzy but we were very lucky that a wonderful kind lady saved us and she gave us a forever home. I wish all discarded animals had a good ending! That story was very sad and made us all cry. Some people are so pathetic and cruel! My bro and I had to find a new home because our family we'd been with since birth moved to Florida and couldn't take us with because they were moving in with Grandma and she didn't like cats (and needed to be taken care of). Luckily, our parents and sister found us a forever home with our current Mom and Dad, and we're very happy here. Our Mom had a doggy fur-sister since the day she was born. Trixie (dog-sister) lived outside and in the garage because Karen (human, our mom) was allergic to her, but was well-cared for until she became too sick and had to be pts to end her suffering. It makes Mom sad that people wouldn't look for alternatives like keeping a pet outside if allergies are the case or finding a home with a friend. Too many people think of us as objects, not beings. Unfortunately these things happen all too often. People forget that animals, although they cannot speak the same language as we do, have feelings too. I just can't imagine how some heartless people just toss aside their pets. When we adopted Pepper last year he was lethargic for days. I took him to the vet and the vet said to me "There's nothing wrong with Pepper except he's sad. He's grieving. How would you feel if the family you l ived with for all your life sent you away and you never saw them again?" I cried so much and gave him all the loving I could. Needless to say, he perked up and within a few weeks was like a permanent fixture on the cat tree. I understand that sometimes people are forced to give up their pets for circumstances they have no control over, but when I think of how many pets are PTS because they are carelessly abandoned by owners, it make me sick. It is especially terrible for middle-aged/senior cats. Putting an older cat into a shelter seems to be an almost certain death sentance. I see so many people in pet stores who will only buy a kitten. I won't let my family buy kittens from pet stores anymore. I always tell everyone that kittens in pet stores will always find homes, but there are too many homeless pets at the local shelters that will never find homes. Ok I am getting off my soap box now or I will keep going all day. Actually I was purchased at the pet store, (Mommy didn't know better back then) but she knows we were meant to be together. I was purchased twice before Mommy came along and I was brought back twice to the pet store because I was so sick. Who would buy a kitten and not pay for its medical care???? That flips Mommy out. She gets real mad when people do that sort of stuff. It turns out I had a lot of problems (read my page for the full story) but Mommy says I was worth every cent and more because I'm her baby.